Picture of the Angel of the North. The angel was created by sculptor Anthony Gormley. It weighs 200 tons, stands 20 metres tall and has a wing span of 54 metres. 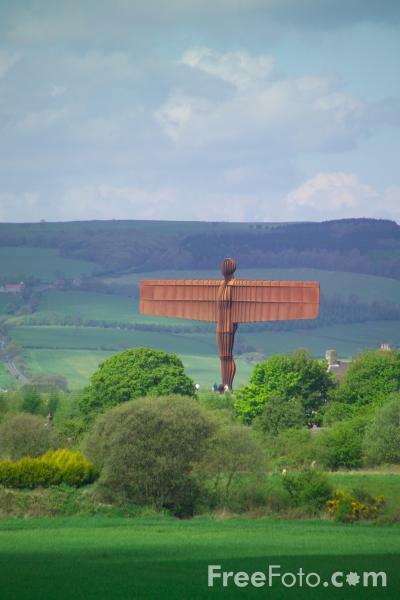 VIEW: More images from the category Angel of the North or taken at the same location or around the same time .